No Sugar Added! – T.D.G. Home About MeNo Sugar Added! 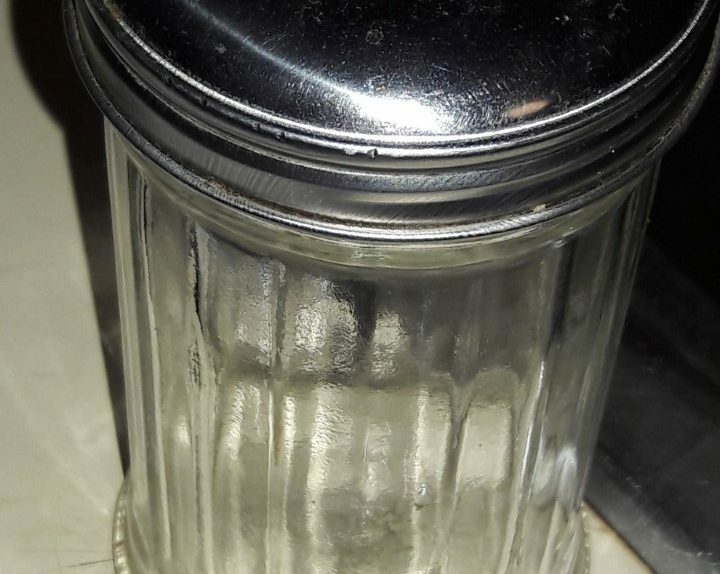 Posted on February 11, 2019 February 11, 2019 by Tom G.
This sugar dispenser has been officially retired to to donation box because stopped using sugar last summer. I still eat it in my food if it is cooked in as an ingredient but i don’t add it raw. Other than making it easier to lose weight i don’t really notice a big diff from that alone. The only thing i miss having sugar in is my coffee but i have gotten used to it being bitter. Maybe one day I will put some in as i used to and see how nasty sweet it will taste now. 😮 I hope i don’t get hooked again…I don’t think that will be a prob. Could you give up sugar? What else would you have trouble giving up? I gave up cigs up in 2007…just quit just like that. I was lucky it was not hard for me. Previous Previous post: Does Hair Color Matter?